Irondale-Republican and Jefferson County School Board member Donna Pike is apologizing for social media post that some have deemed racist. Pike didn’t deny the post. 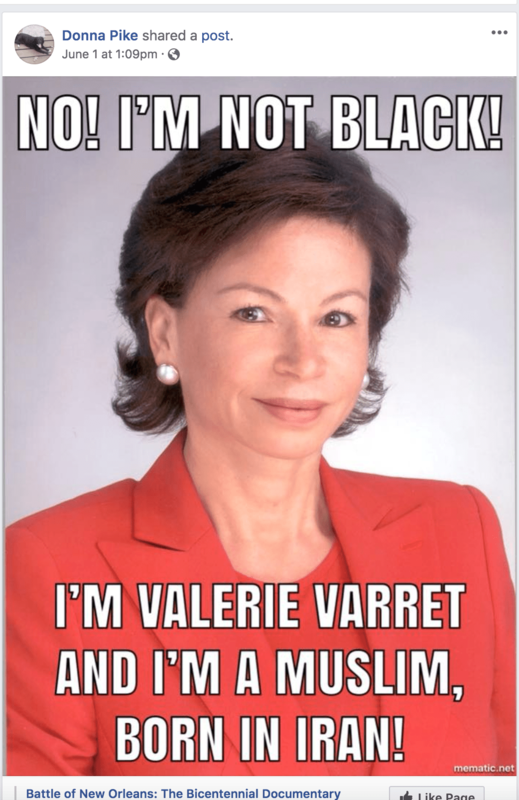 “I shared it, and I’m not sorry I did, and I meant it because it shows hypocrisy in our country. Some people can get away with it and some people can’t. It was not racist,” Pike responded to Chaverst and the rest of the school board, according to AL.com. 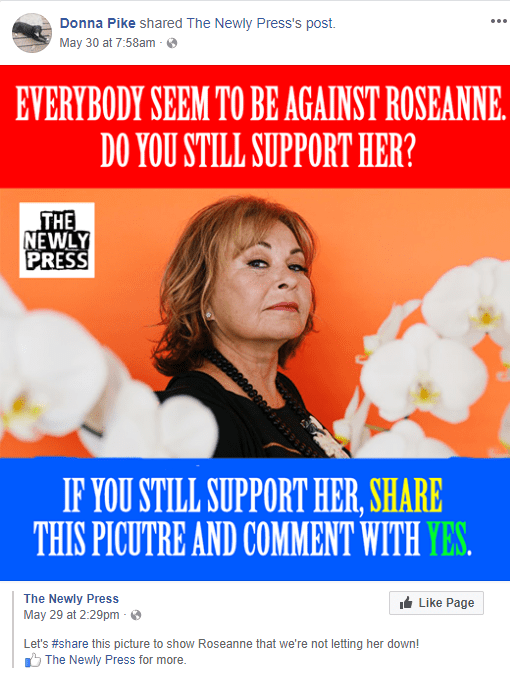 Pike also posted an image in support of Roseanne Barr, who’s revived sitcom was recently cancelled by ABC after the comedian posted a racist and Islamophobic tweet that attacked Jarrett. Tuesday night, she deleted the posts and on Wednesday she apologized for them. “I didn’t realize they would be perceived as they are,” she told WVTM 13.